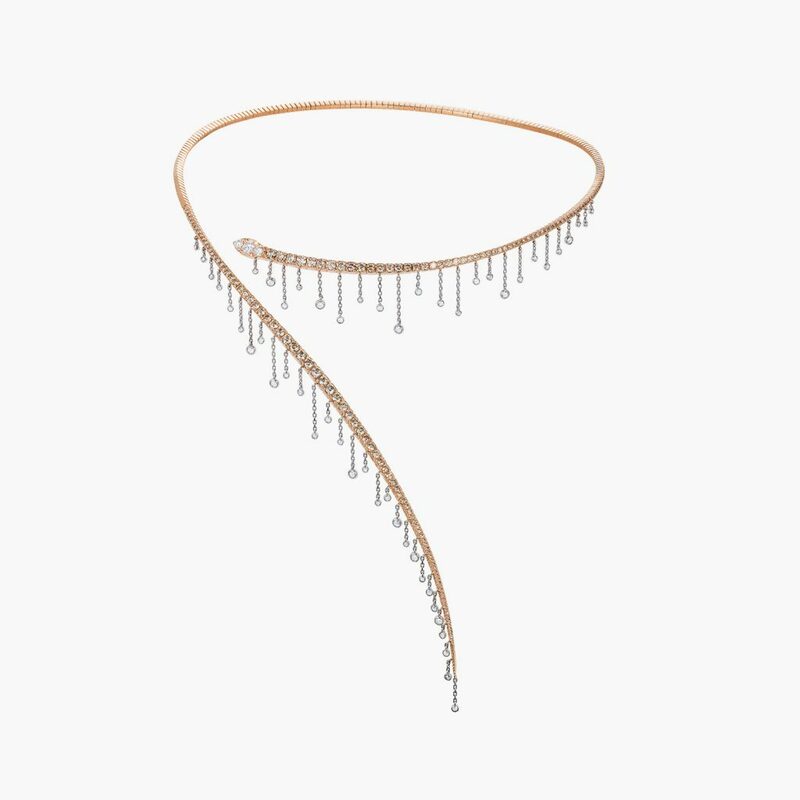 Modern, minimal yet sophisticated architectural choker, rendered in 18K Rose and white gold allows you to add an understated edge to your sleek style. Composition: White diamonds 1.05cts & Brown diamonds 1.77cts. 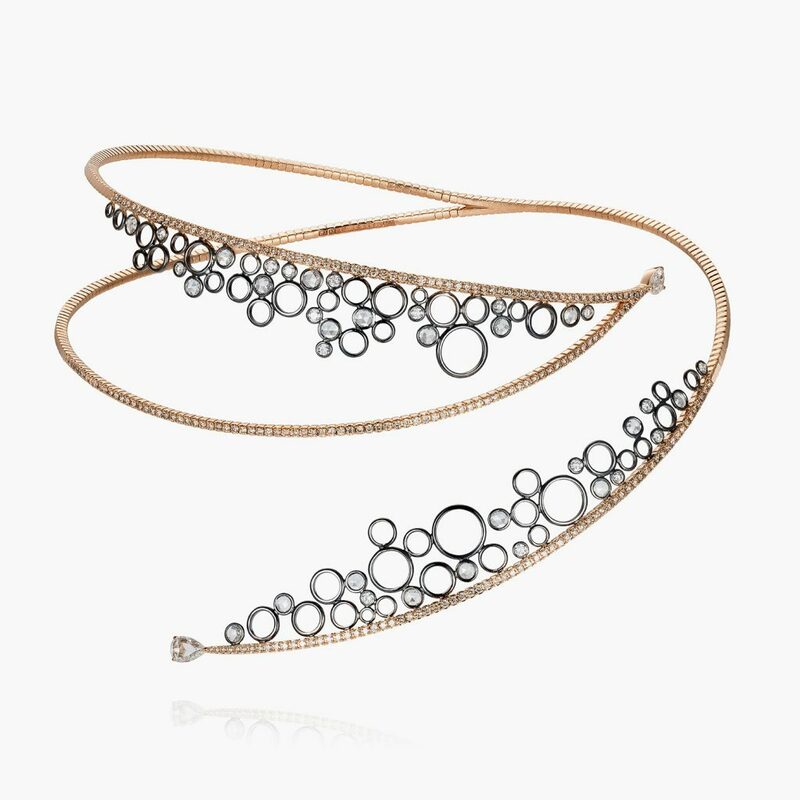 Radiant yet ravishingly refined, this 18K Rose and black gold double layer choker glistening with white diamonds offers an effortless upgrade to any neckline and outfit. Composition: White diamonds 1.08cts & Brown diamonds 2.1cts. 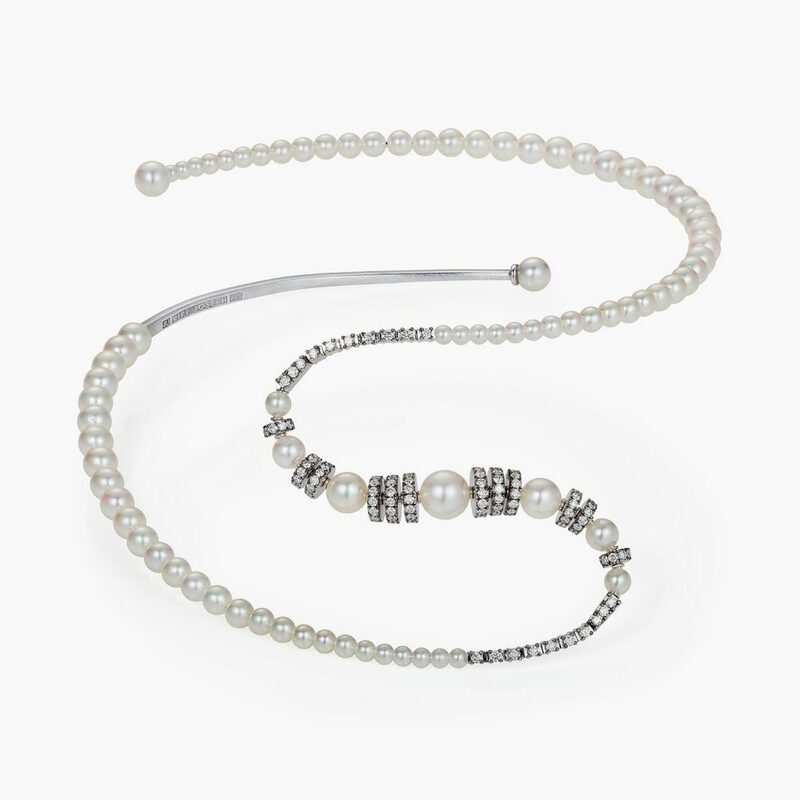 This Beautiful modern take on traditional choker is crafted with lustrous white pearls and glistening white diamonds, to help you shine on your special day or every day. Composition: White diamonds 2.31cts & 83 white pearls. 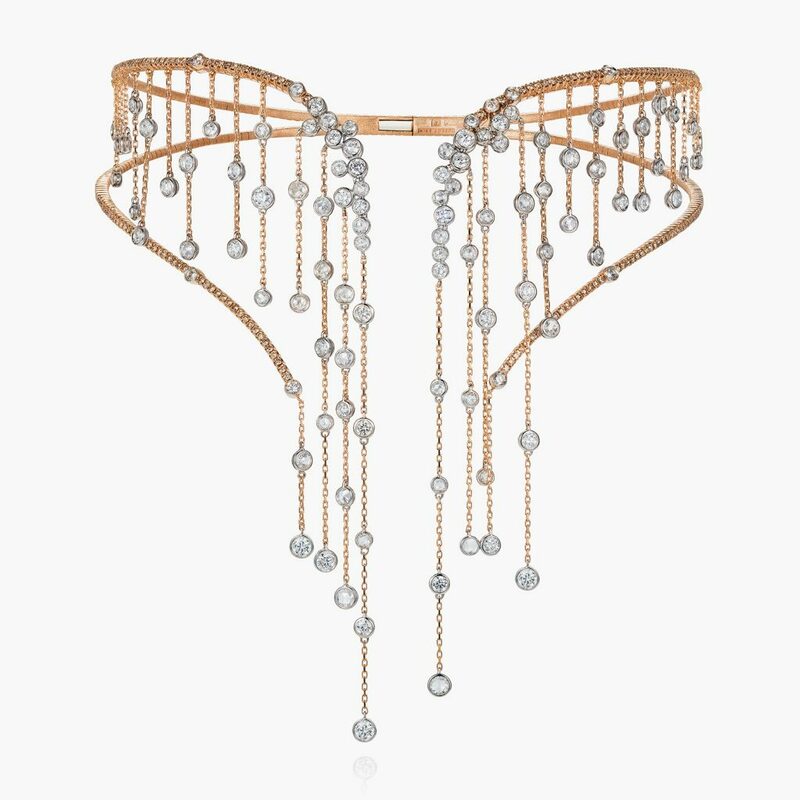 This breathtaking necklace features simple yet elegant design in white diamonds and grey pearls, crafted with invisible claps to give you an option to wear it short or long. Composition: White diamonds 1.35cts & 179 white pearls. Unexpected twist that combines the current collar trend with classic pearls, creating a surprising look that is polished and poised. Yet subtly daring. Composition: White diamonds 1.69cts & 144 grey pearls. Dreamlike aesthetics, so perfect it belongs in a fairy-tale storybook. Meticulously hand crafted with signature Mike Josephs flexible wrap-around rose and white gold and adorned with cascades of over 6cts diamonds. 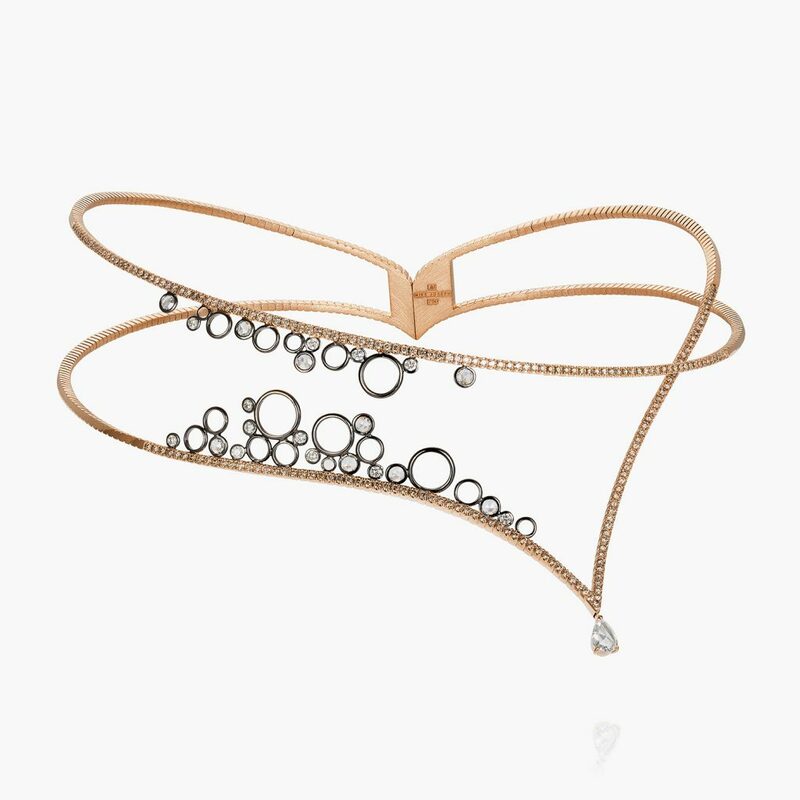 This choker will sure add levity to dressy weekend affair. Rendered in 18K rose & white gold. Composition: White diamonds 4.77cts & 1.28cts brown diamond. 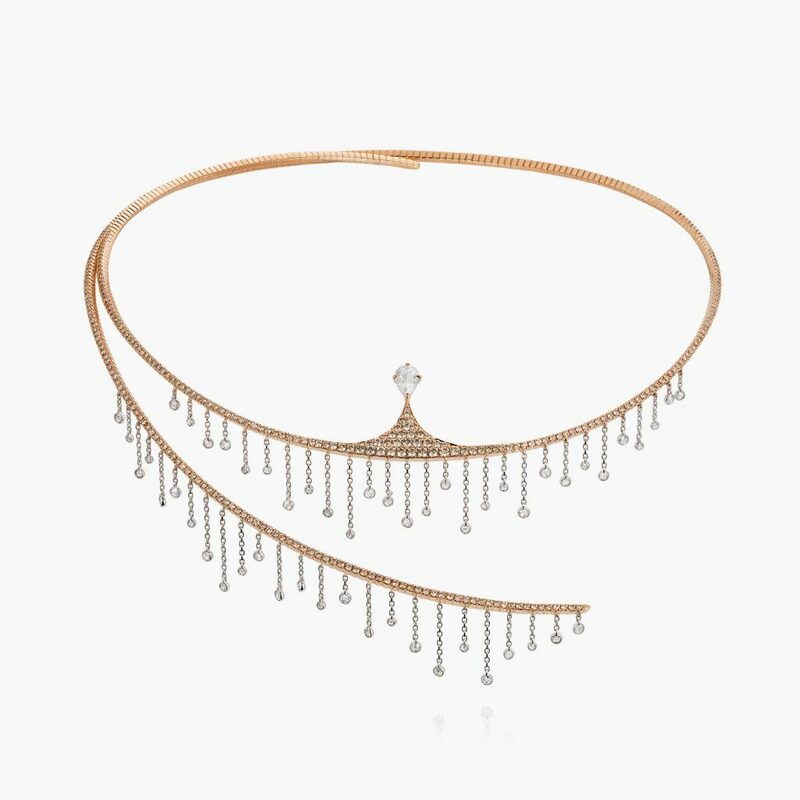 This Waterfall collar circles the neck with a spiral of pink gold, set with more than three carats of diamonds. 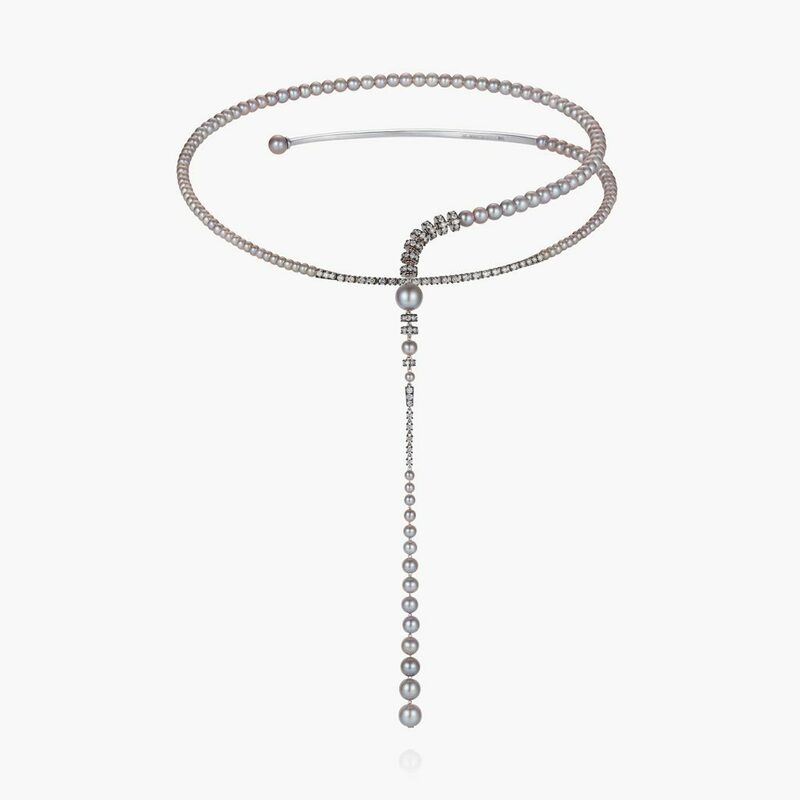 Cool white gold chain drops glitter delicately from the collar, evoking the glistening rush of a waterfall. Composition: White diamonds 1.01cts & brown diamond 3.51cts. 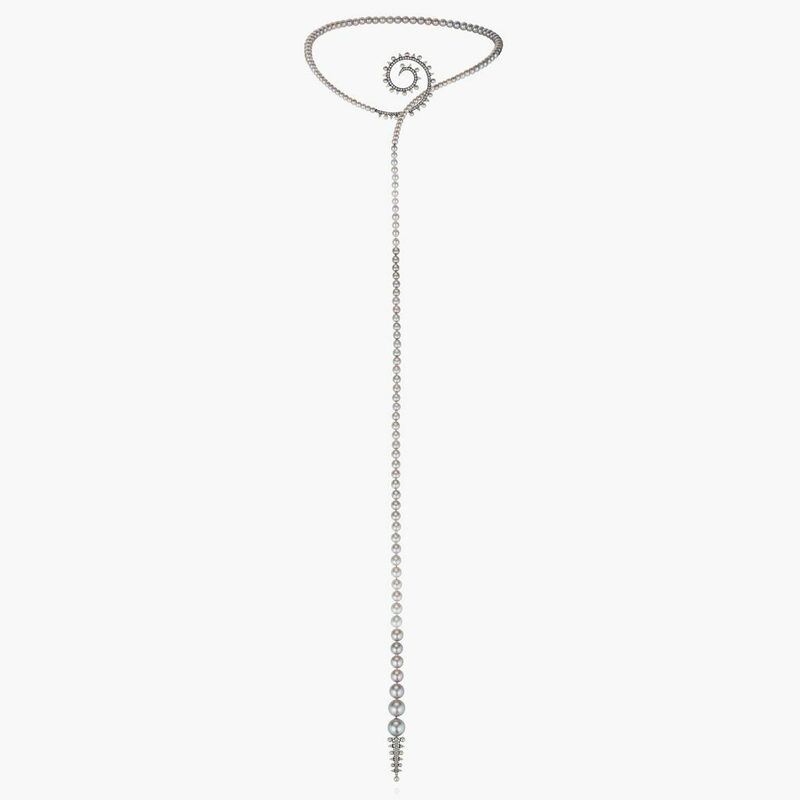 Shimmering like water drops in the sunshine, this sweeping Waterfall necklace traces delicately around the neck and over the collarbone. Crafted with warm pink gold and cool white gold, it glitters with almost four carats of brown, white and rose-cut diamonds. Composition: White diamonds 0.92cts & brown diamond 3.04cts.